Lately I have been doing some serious reflection on where we are, as a nation and a people, and I am deeply troubled. We are a DIVIDED NATION and I do not mean we disagree I mean we are divided. We are divided along racial lines more today than we were just a very few years ago even if Mr. Obama pretends things are better under him. We are divided along political lines and there are divisions within the divisions often rendering us totally incapable of progress. It is not disagreement that is the problem it is division. 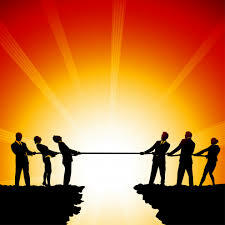 Disagreement is or can be the springboard to discussion but division places a barrier preventing it. 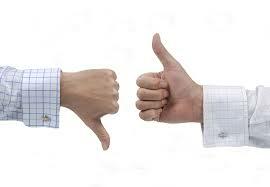 I deal with some regularly who are so adamant in their views they reject any consideration of another point of view. I have been attacked publicly, on Facebook and other Social Media because of my views. I do not mind someone disagreeing with me but I do mind closed-mindedness that refuses to even hear what another has to say. Where would we be or would we be had our founding fathers allowed their disagreements to become impassable divisions? 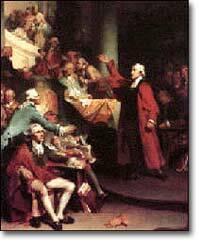 After the American Revolution there was much disagreement as to how the new nation should operate governmentally. Some of the disagreements resulted in such heated discussions and divisions that friends parted ways never to be reconciled. However, when they gathered in 1787 for the Constitutional Convention they refused to allow their disagreements to become divisions. They proceeded to hammer out a document that would give them and us one of the most workable and meaningful systems of government man had or has witnessed. I am so thankful that those men had such a deep love for the ideal of Freedom and Liberty that they refused to allow their personal preferences prevent them from finding a workable compromise and solution. Today that is virtually absent in many, if not most, political circles. Sometimes when I hear people speak I am reminded of the Apostle Paul’s words to the Corinthians when he chided them for their divisiveness and sectarianism. They were dividing into sects within the Christian faith and allowing their views to divide them. That was a pathway that would have been more than a little detrimental to the purpose of the church and Paul addressed it boldly. Likewise in today’s world our divisions are the problem not our disagreements. 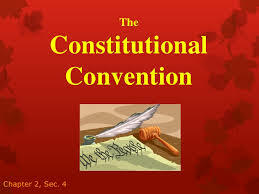 In the Constitutional Convention they found a way to satisfy both sides of the “representation argument” by giving us a bicameral system with a Senate and House of Representatives. The upper house would have equal representation by state and the lower house would represent the population. There were some who wanted a very strong central government and some who wanted it to be almost a figurehead and they found a way to keep the States strong while giving the federal government enough power to “establish justice, insure domestic tranquility, provide for the common defense, promote the general welfare, and secure the blessing of liberty to ourselves and our posterity.” The Bill of Rights contained ten items without which there would have never ratification of the Constitution. Among those was the Tenth Amendment, listed last but not least in importance that secured the rights of the states and the people and restricted the federal government from being an overreaching tyrannical entity, at least that was the intent. Today our divisions so separate us that some are blinded by racial hatred and are completely incapable or unwilling to even discuss the matter, at least not honestly. Some are so loyal to a particular ideology they reject any ideas other than those that fit their preferences and resort to character assignation of those in opposition rather than engage in a meaningful discussion. One of my mentors used to say when I or one of his prodigies would come up with a valid point or idea, “Well even a blind squirrel can find an acorn every once in a while.” He did not mean it in a demeaning way but a reminder to each of us that we need to listen to the ideas of others. 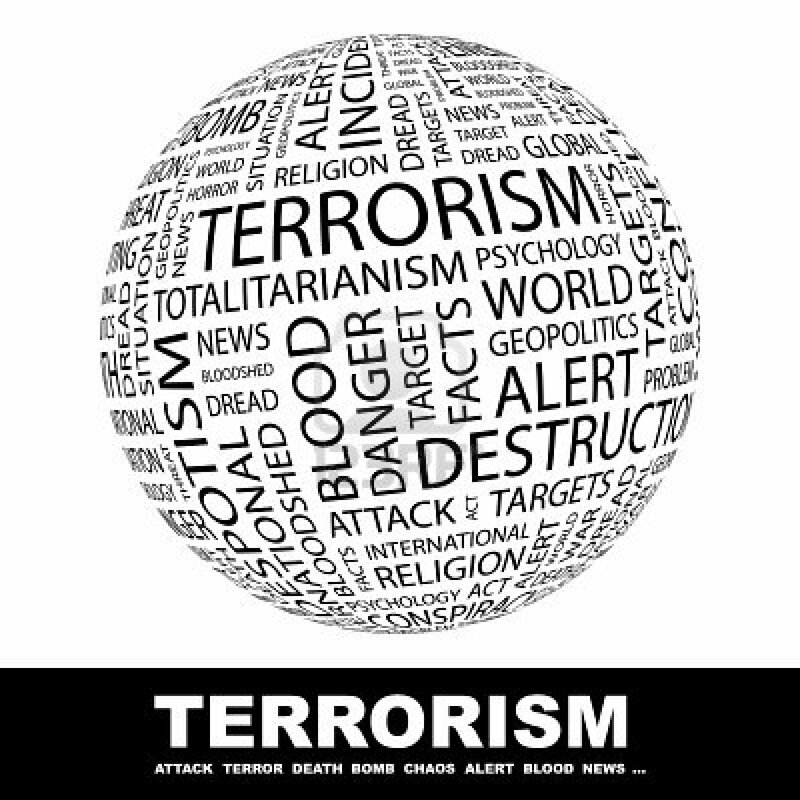 I am troubled by the DIVIDED-NESS (my new word) of our nation and see it placing before us a crevice so wide and deep that should we continue on this path will lead us to such civil strife that blood will flow in the streets. I am not calling for that, oppose that and pray that we never see that but it is a very real possibility with our current course and position of DIVIDED-NESS. I sometimes wonder if I am contributing to the divide in my sounding the alarm and if I determine I am, I will change course. My desire and purpose is not to divide but bring America back to her moral moorings and I see no hope of that without a unified effort across the various divisions to seek the best good for our nation. I confess and profess the Christian faith and my cornerstone is God’s word and call for all who believe to make 1 Chronicles 7:14 a key component of your daily life. “If My people , who are called by My name, will humble themselves and pray and seek my face and turn from their wicked ways, then I will hear from heaven, and I will forgive their sin and will heal their land.” We need a healing in our land! 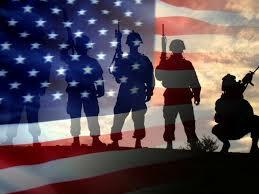 God bless you and God please bless America again! 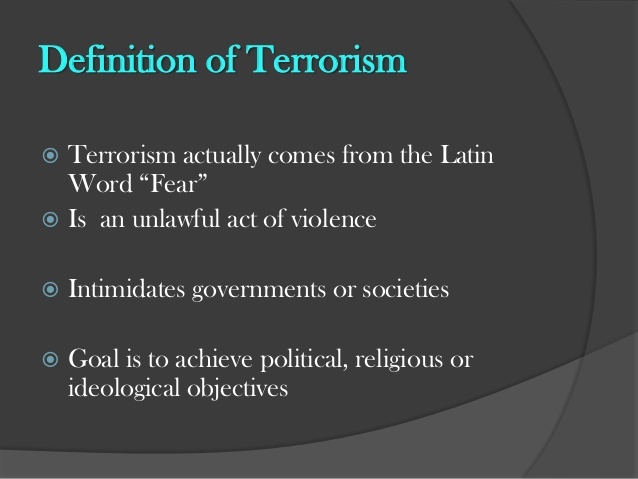 WELCOME TO THE WORLD OF IDIOCRACY… Ideological Terrorism! I always desire to be as charitable as possible and give people the benefit of the doubt wherever I can all the while maintaining my reason and honest evaluation of the evidence arriving at truth. If at the end of that journey I find there is no doubt then I must face and declare that and let the chips fall where they may. I have seen the present occupant of the Oval Office of these United States called an ‘idiot’, ‘incompetent’, ill-advised’, ‘liar’, ‘diabolical’, ‘traitor’ and much more and he may be all those things but the more I piece together his words and actions the more I am convinced that his world is the ‘World of Idiocracy’ rooted in ‘Ideological Terrorism’. It comes from a mind so filled with hatred and vitriol that he is driven to make America and the Western world pay for their perceived sins. He comes by it somewhat honestly, if referring to how he was raised and educated as being an honest acquisition of his distorted truths. I find that a bit difficult but leave it at that. 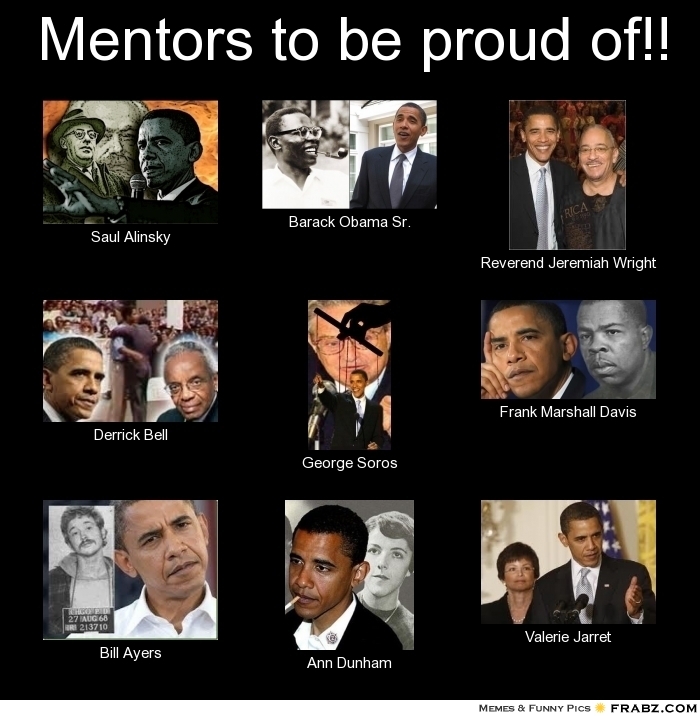 From his presumed father Barack Sr., Frank Marshall Davis, his maternal grandparents, Bill Ayers, Bernadine Dohrn, Valerie Jarrett and a host of others he has an ingrained hatred for all things constitutional in the American Republic. His real views continue to surface and did so in his recent act regarding Cuba and the Castro brothers. He suspiciously or expectedly waited until Congress left town to reveal his ‘swap’ of murdering terrorists for an American convicted of espionage in Cuba. He then proceeded to give Cuba his blessing receiving nothing in return. Now Castro has declared victory over the United States and thanked Barack Obama for making that possible. Mr. Obama’s spokesperson Josh Earnest contented that the release of our citizen was a humanitarian act on the part of Cuba that Mr. Obama had insisted upon and then as an act of goodwill we released their terrorist and made other concessions. This is all supposed to benefit the Cuban people who have received no benefit from the propping up of other governments around the world including Russia. Now that Russia’s economy is on the brink of collapse Cuba would be left with no sugar daddy to keep the Castro brothers fat and sassy but have no fear Obama is here to save the day. Never mind that the Assistant Secretary of State told Senator Marco Rubio three times that nothing was changing in our Cuban relations because nothing had changed in Cuba but amazingly when Congress leaves town things change! Mr. Obama’s presser regarding this unilateral act (without congress) revealed his heart regarding America and our founding once again. He said that we must leave colonialism and communism behind. What exactly could he be talking about for the Castro brothers have no intention of leaving communism behind and who are the colonialist of which he speaks? Naturally it must be the evil land grabbing Americans right? Yeah we colonialized Cuba and the rest of the Caribbean, not! No the Cuban people are living in abject poverty while the Castro brothers and their cronies live in wealth. Mr. Obama said he was all for the ‘free transmission of information’. I find that absolutely amazing since he is so free with information with Congress and the American people on the many scandals of his administration. I guess ‘free transmission’ means the dissemination of what he wants us to see, hear, and read. His ideology matches much of that of the despots in Cuba and other places whose views he seems to value more than that of America and Americans. Mr. Obama even made the plight of the Cuban people with regard to the access to information our fault. How wonderful he again trashes America and Americans when he and everyone else knows that tyrants rule in Cuba and will continue to do so longer now because of his actions. What a Christmas gift to Castro not Cuba and another spear hurled at our constitution by this lawless one. Mr. Obama, in my view, is driven by the same kind of hatred that our enemies around the world and nothing short of total destruction for our Republic will suffice in their minds. The Islamist want to bring Sharia to us and eradicate anyone who will not convert and Mr. Obama is so filled with racial and national antipathy that he and his wife fabricate incidents of oppression toward them and discredit all the good America has done and represents. This man, in my view is an IDEOLOGICAL TERRORIST at war, in his heart, with our American constitution, founding principles and America! That does not cover all I’d like to say but is all the time and space I can allot at this time. I plead with everyone who prays to earnestly intercede for our nation and those who are charged with leading her. I urge you to become informed, listen carefully hearing what is said and what is not said and invest your time and energy into the pursuit of a restored constitutional republic. Mr. Obama is not our only problem but if we do not somehow prevent him from completely destroying America during the next two years the elections of 2016 will be meaningless. 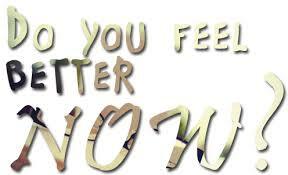 DON’T YOU FEEL BETTER NOW??? The mid-term elections resulted in wresting control of the Senate from the Democrats with their leftist agenda, secured the House and was an open referendum on most if not all of Barack Obama’s policies so we get to move forward to fix this mess, right? WRONG! When Barack Obama was first elected and his party had control of both, Houses of Congress, the White House and it appeared the Supreme Court in their pockets the Republicans complained and he famously declared, “Elections have consequences. You lost.” So one would assume that since there was such a resounding rejection of this agenda the Republicans would be emboldened to do the will of the people and honor the constitution and the Democrats would assume the role of losers and tone back their assault on liberty but if you do you would be in for a rude awakening in 2015-16. Almost immediately the leadership of the House and Senate along with some notable presidential hopefuls there was the conciliatory olive branch extended and they began talking and acting as though they lost the election. The president, Democrats, and media began harping that what the American people wanted was compromise by the Republicans. The voting public kicked out of office many who walked in ‘lock step’ with Barack Obama and his destructive policies and that was somehow an indication that they wanted the Republicans to ‘play nice’ or by the Democrat rules. Are you kidding me? People like Jeb Bush and Mitt Romney almost immediately began to insist that using the power of the purse, was a mistake and that the Republicans had to pass a comprehensive immigration reform bill or it would be devastating in November 2016. Hey guys what just happened? The so-called government shutdown occurred in the closing days of 2013 with only about 15% of the government actually shut down while the rest continued as normal including every welfare check going out as scheduled and on time. Barack Obama made an open display of acting outside his authority, irresponsibly if not illegally and immorally in closing some things that were not necessary and was joined by the chorus of Democrats, the media and some of the liberal Republicans (if you can call them that) attacking the Tea Party and any Constitutional conservative voice in Washington calling them terrorist and a blight on human-kind. However, when the elections rolled around what happened? The House and Senate were placed in the hands of the Republicans who were accused of SHUTTING DOWN THE GOVERNMENT. Could it be that the people want the government reduced, spending reduced, the deficit reduced, the size and scope of the federal government R E D U C E D??? That would be rational to think that but not so with Mr. Obama, the Democrats and the Republican establishment. We had Mr. Gruber admitting that THEY LIED about Obamacare and the immediate distancing of themselves from him claiming “I don’t know him”. Oh well, covering a lie with a lie is the normal practice of those who lie as we have observed for six years now with this administration. Mr. Obama considers himself above the law, without constitutional restrictions and the Supreme Court has suggested that a president’s use of executive orders can be deemed acceptable if Congress does not move to stop those actions. Since the Republicans have no spine, the Democrats agree with his agenda and the media is his lap dog why would he hesitate to move on Amnesty, vilify the police forces around the nation, attack conservatives through unlawful use of government agencies, negotiate and cooperate with terrorist, and fan the flames of discord along racial lines? WHY NOT? After all he has become assured that there will be no move to impeach, no censor, no override of any veto, and no action of Congress to dry up the flow of cash or credit. In simple terms, NO RESISTANCE by the opposition party! NOPE, what we have is a lame duck president acting as a king and a party in power acting as though they lost the election. That has to make everyone feel all warm and fuzzy in side. So Merry Christmas from Congress and the White House America they get the gold mine we get the shaft. There is hope only if WE THE PEOPLE form, such an alliance and protest via civil and legal means to get their attention and then in 2016, if necessary, send the lot of them packing. 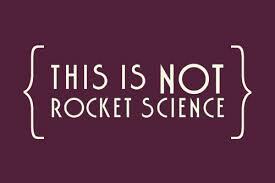 WORKFORCE PARTICIPATION – – IT’S NOT ROCKET SCIENCE …. Does it bother you as it does me when you hear reports, read statistics and do simple mathematical calculations regarding the announced unemployment rate, the workforce participation percentages and the numbers of work age people not working? According to a September 2014 report there were over 92 million people 16 and older who do not participate in the workforce and that equals a 36 year low participation rate of 62.8%. The Bureau of Labor Statistics reported that the civilian non-institutional population was 248,229,200 and there were only 155,959,000 of them participating in the workforce. Let me take that a step further the report is that there are only 155 million who either have a job or have actively sought one over the previous four weeks. How in the name of mathematical reason can the unemployment rate be hovering around 6%? That is not possible using honest statistical calculations but that is what the White House tells us. I believe the real numbers are in excess of 12-15% but will stay with those numbers to be charitable. When you add to this that the national debt has exceeded $18 TRILLION, an increase of 70% since Barack Obama took office in 2009. The debt under his watch has increased astronomically under his watch, who as a U.S. Senator declared that it was ‘unpatriotic’ and ‘irresponsible’ to add $4 TRILLION to the debt in reference to George W. Bush’s administration. This means that every man, woman and child in the United States now owes $56,250+ toward the national debt. Yet we are told that our economy is coming back, the recession has long been over and Mr. Obama’s policies are working. Unfortunately, a significant number, if not a majority, of Americans have found their income reduced and their net worth diminished with no real prospects of it getting better any time soon. The welfare participation rate in America reflects at least 49.2% of the population receive government benefits in one or more government programs as reported by the Census Bureau in 2011 and that has grown since then so we are likely past the point of no return where over half of our citizens are receiving government benefits of some kind. We have almost 27% of Americans receiving Medicaid and under Obamacare Americans earning less than 400% of the poverty level will qualify for a federal subsidy. We know that over 47 million people are receiving food stamps. The report from the Department of Agriculture is that we have 23,052,388 HOUSEHOLDS receiving food stamps over 700,000 more than 2012. Does that sound like things are getting better? In today’s America it is no longer necessary for a person to work to eat, drive a car, have cable television, the internet, a cell or smart phone, and do most of the things that a few years ago would have been impossible without an income. I completely understand that there are those who WOULD WORK but cannot find work. I also know that there are some who only TOKENLY look for work and for one reason or another do not accept the jobs available. I also know that there are those who have become PROFESSIONAL entitlementrapenurs (not a word) completely content to allow someone else to fund their lifestyle. Now we are have open borders and legalizing millions of illegals to come or stay in this country which will add to the welfare rolls, increase healthcare costs and burden our educational systems and every sector of our society. I must ask, for what reason? It is to complete the objective of ‘fundamentally transforming’ America into something other than a robust self-sufficient, solvent constitutional republic and enslave the populace to the socialistic programs, ideology and policies of the leftist in this nation. The Statist of both major parties have engineered and participated in the systematic dismantling of America. 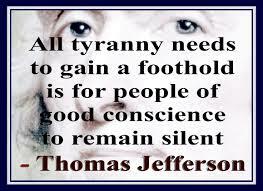 Short of a full Constitutional Convention and a throwing out of our government I’m not sure there is a remedy. Where will we go? What will happen to our beloved nation? 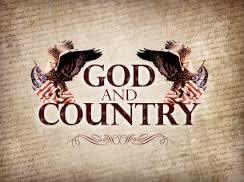 At this point I am convinced that short of a miracle by God they have successfully trampled our constitution. 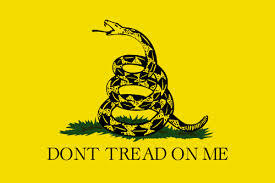 That being said, I will not cease to cry from the rooftops for a return to the principles upon which we were founded as is evidenced in the Constitution, Bill of Rights, Declaration of Independence and the writings of our founding fathers as they sought to align this nation with godly moral principles and afford permanent freedom and liberty to the citizens. May God bless America again is my prayer!